And there are so many more options out there! No matter which pattern you choose, they all have are some similarities and constructing them is pretty consistent. Here's some of the things I like to do regardless of the pattern for making baby shoes more comfortable and stable than the pattern may indicate. 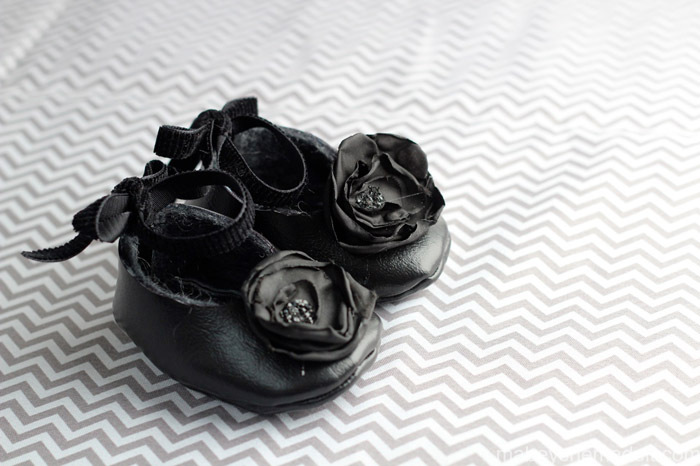 Most baby shoes start with the same basic pieces--a sole and an upper. From there you can go crazy with embellishments, straps, elastic and the like but basically you're working with two pieces per shoe. It's not so intimidating when you look at it that way. Babies lose shoes. They kick and squirm, and shoes just don't last long on tiny baby feet. So if you're doing the smallest sizes, you may want to include some sort of ankle strap or ribbon to keep those shoes close. I MAY have lost a few baby shoes along the way. The smaller the size you make, the trickier they will be. It's just the nature of the beast. But it's a pretty adorable beast that I keep tackling. It's totally doable, just know that the tiny shoes will take a little more patience. 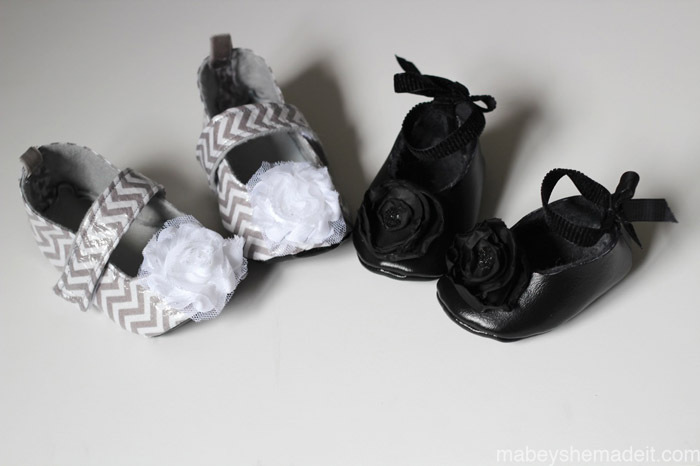 Also, 0-6 months (usually the smallest size) are geared more toward 6 months, so if you want shoes for your tinier baby, you may need to size the pattern down some like I did for these cuties (they also have an ankle ribbon so I don't lose them). The stiffer the material you're using, the trickier they'll be as well. Soft suedes and cottons will go together easier than vinyl and thick cotton. It all works out, just something to be aware of. 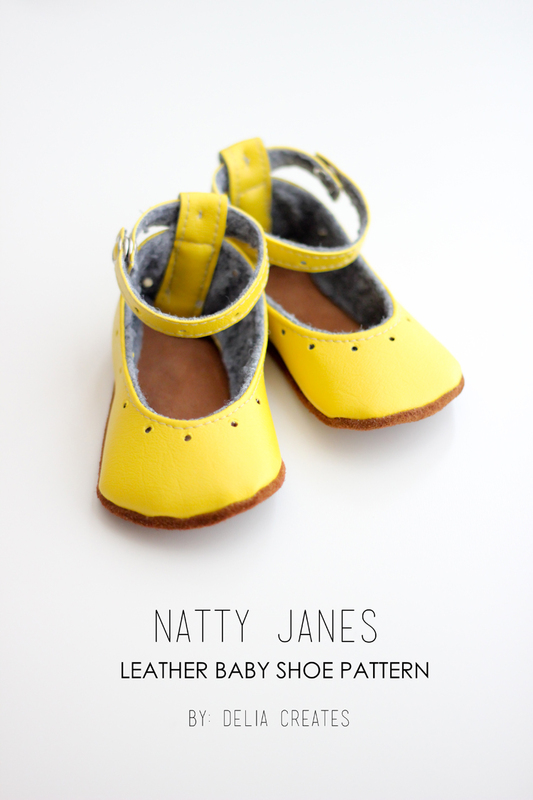 If you're making shoes for walking children, choose a more durable fabric. 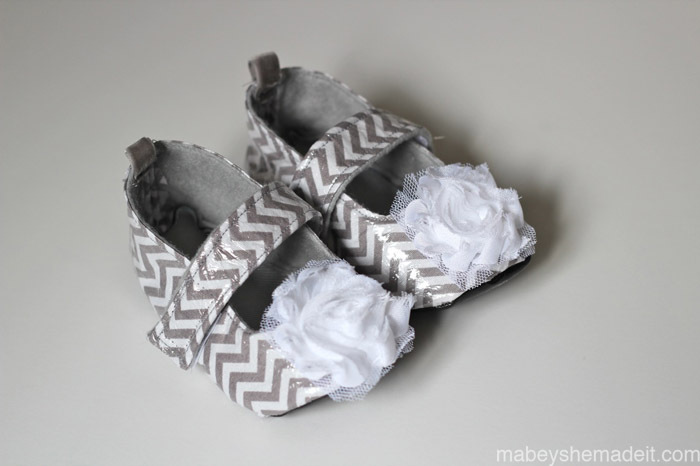 Cotton prints are soo cute on shoes, but if you have a walker they'll wear through the cotton pretty quick. Try faux (or real) leather for something a little more durable. If you're still in love with the cotton idea, try some iron-on vinyl over the cotton before you cut out your pattern! Cotton frays, so if you're making baby shoes from cotton, follow this secret for professional baby shoes to get a completely encased (and non-frayable) top edge. This also works great for straps. I've never seen a baby shoe pattern mention this, but I learned it from a friend: once you sew the upper heel seam (per the pattern), open up the seam allowance and sew down each piece flat to the back of the shoe. Not only will this make it stronger, but it will also make the shoe more comfortable for your little ones...and that's important! Once you flip your shoes right-side-out, you'll see that the seam allowance is exposed inside the shoe. You can easily cover this by tracing another sole from some felt or lining material, cutting it down by the seam allowance, and glueing it inside the shoes. It looks great, and it's a little more padding for those baby feet as well! Embellishments are so much fun! Go wild (or not) and you'll love the hundreds of combinations you can come up with from one simple pattern. 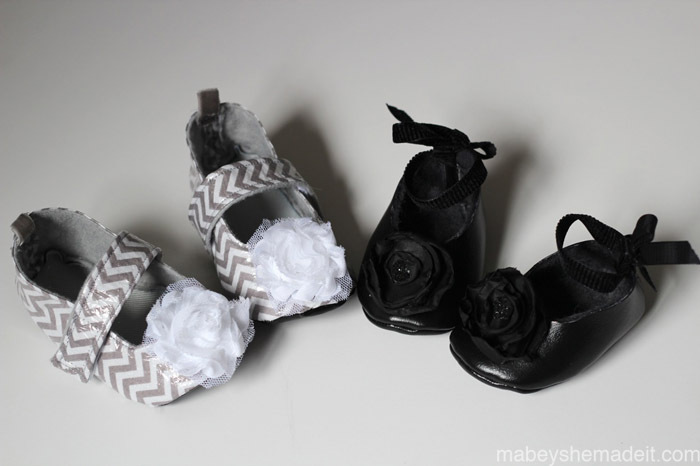 I hope you've learned something from these tips on making baby shoes and that you'll try your hand at a pair (or a pile of pairs). They really are so much fun! Thank you so much to Emily and Jaime for letting me share their space today! 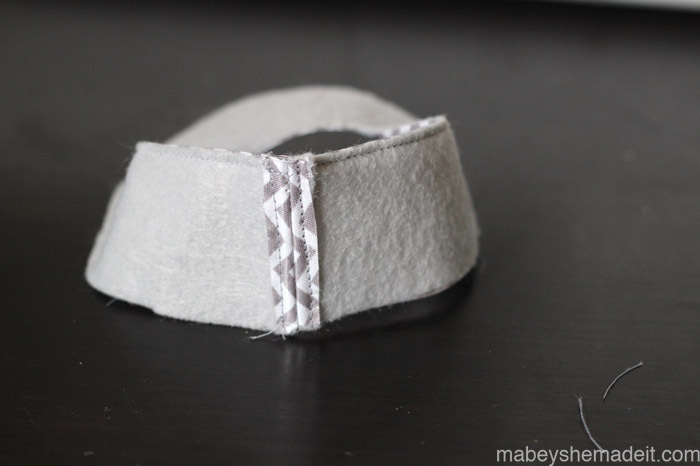 I hope you'll come visit me at Mabey She Made It for more DIY, craft, and sewing adventures. Thanks Lisa! What great tips and ideas. Can't wait to make some more for my new little girl! My baby just started walking and i'm excited to buy her first pair of walking shoes. You are right - these are not the best shoes for walking all day but they are totally adorable! I remember my wife used to make these for our daughter and kept one as a memorabilia - precious times!